This tank is so cute! It's simple cut makes it so easy style and wear! 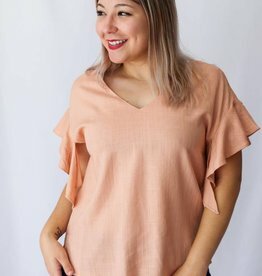 The drapery is the perfect detail for this solid top too! 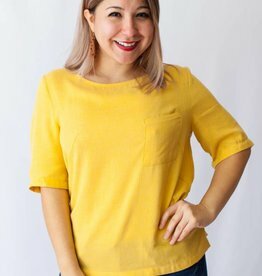 This top is a must have the color is perfect all year around. Dropped Shoulder Hem, Short Ruffle Sleeve with Self-Tying Knot, V-cut, Woven Top.